Before camping, you need to choose a suitable tent firstly. The United States ride Editor's Note: Camping is a very fresh experience for those who do not have a camp. After all, leave the home often sleep in the small bed, build a small outdoor mobile world, pillow to the stars to sleep, wake up in the morning light and birdsong, how to look is a very strange experience. Well, when it comes to camping, it must be said that the camping equipment, commonly known as camping three-piece suit: tent sleeping bag moisture-proof pad. Today's protagonist is: tents. Tents generally by the internal and external accounts, support rods, wind ropes and ground nails composition. Their role can be summed up in one sentence: the inner tent to sleep, the outer cover of the wind and rain, the support rod to support the tent up, wind rope to enhance the wind resistance capacity of external winds, to prevent the tent from being blown away. In addition, there may be cloth, shop in the bottom of the tent to prevent the scratch inside the sand was scratched or gravel. In general, want to sleep comfortably, it is best to choose a tent inside and outside the tent, of course, this will be heavier. You can choose a single-tier account if you want to be lighter, but this is also a tough choice. 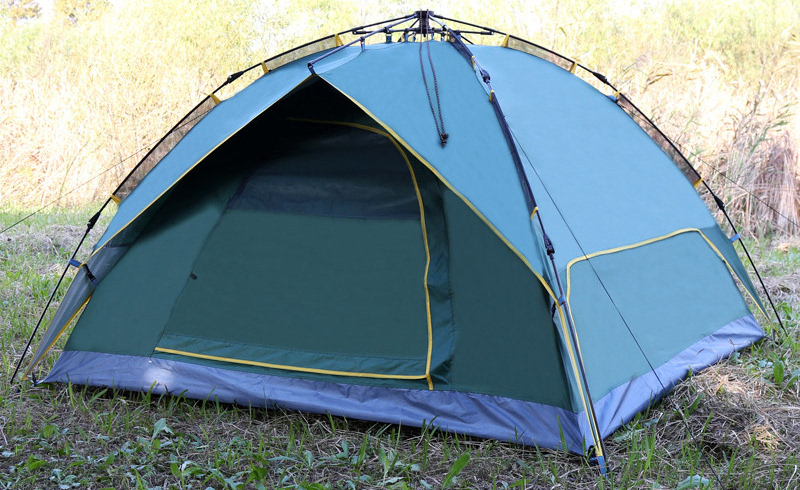 Single-tier account is equivalent to a top two individuals, the tents of the material, design and other aspects are relatively high, the natural price is also expensive (single ultra-light account more expensive). Cheap single-storey account, it will be able to cope with the sunny sunny weather, only for leisure and fun. In the choice of tents, the first thing to consider is under what circumstances to use. Tent is divided into Alpine account, the four seasons account, three seasons account, single-layer account, Atrium, family leisure accounts and so on several categories, ranging from 1 to many people. Generally not the ultimate professional players, three quarter account or four seasons account is sufficient to use the demand. Finally, let's talk about some tents for maintenance. After using the tent, it is best to turn it over and let it dry naturally. If the conditions do not allow but also let it dry within 12 hours, too long will make the water invades the fabric, increasing the difficulty of drying, easy moldy. However, do not expose yourself to too much sun in the sun for a long time. Do not wash the tent with alkaline cleaners and hard brushes. These methods will destroy the coating and reduce the waterproof performance.